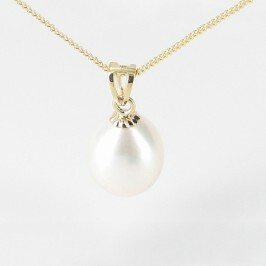 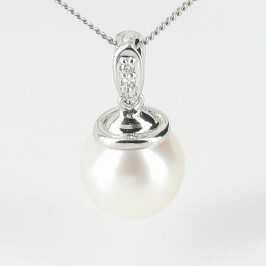 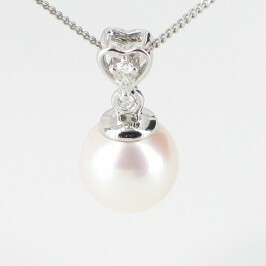 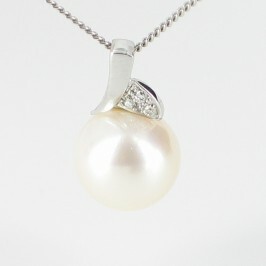 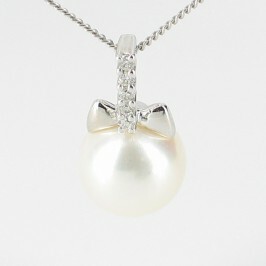 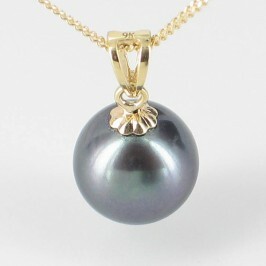 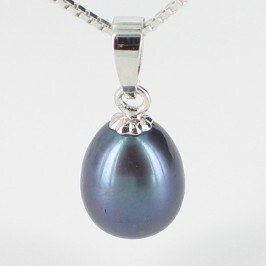 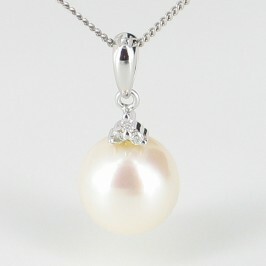 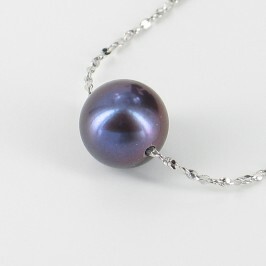 The finest freshwater pearls can rival the best in the world for size, shape and lustre. 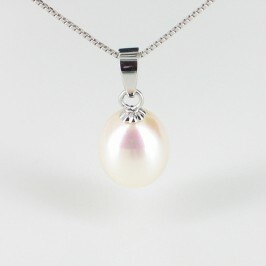 With a smooth surface and stunning shades, from pure white to pretty pink and lilac, these pearls are highly appealing, yet often lower in cost than other pearl pendants. 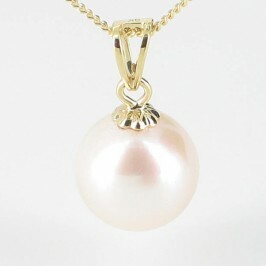 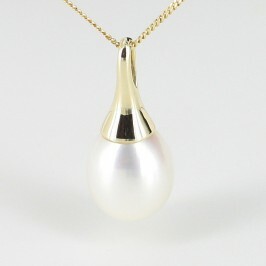 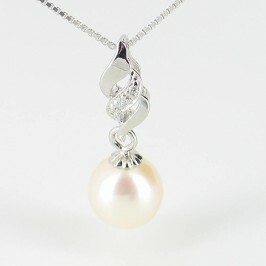 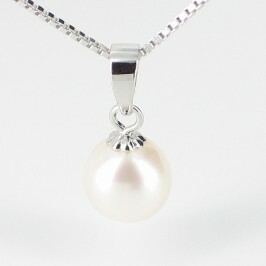 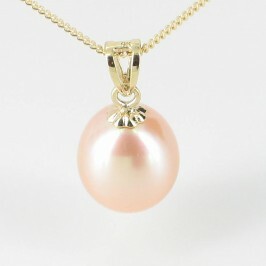 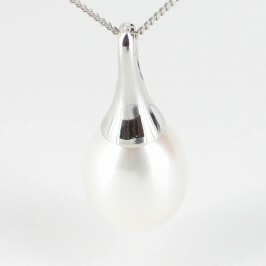 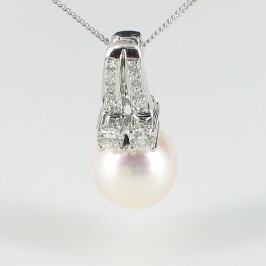 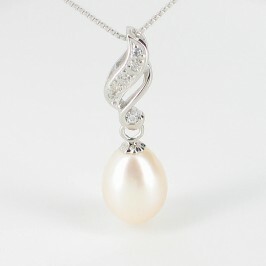 As freshwater pearl experts, Absolute Pearls offers an unrivalled collection of freshwater pearl pendants for you to enjoy, all with a matching high quality 17½” chain included at no extra cost. 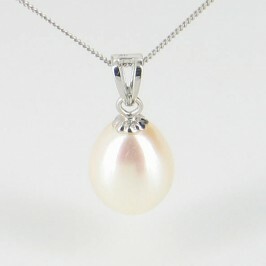 We use over a decade of experience and expertise to select some of the finest freshwater pearls for our freshwater pearl pendant necklaces. 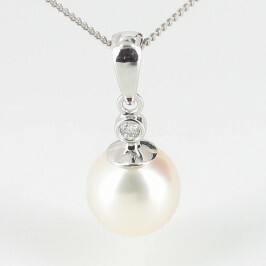 Then we finish them in the style they deserve, with high class gold and sterling silver fittings to match both the pearl and your pocket. 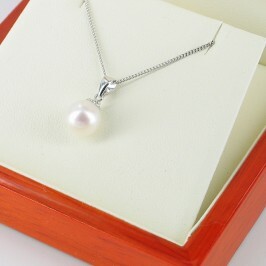 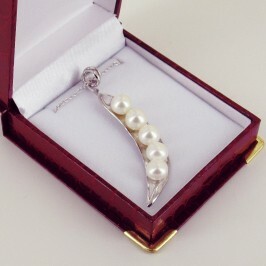 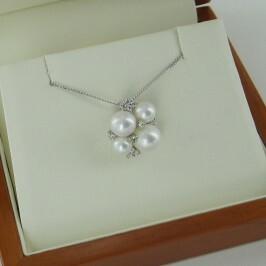 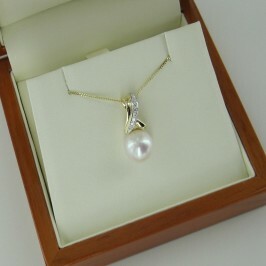 Freshwater pearls are a traditional first wedding anniversary gift, and what better way to show your love than with a beautifully presented pendant in a superb presentation box.